Chivis Martinez Borderland Beat Menytimes and noticieros.televisa. 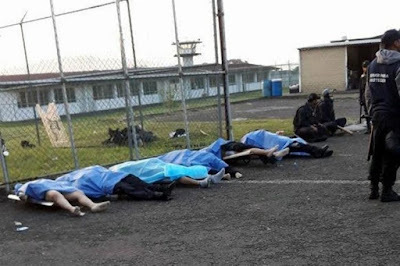 Six policemen and one more unidentified person lost their lives during a riot, that took place at dawn this Sunday at the La Toma Prison, located Veracruz, in Mexico, confirmed the state government. At least 12 others are reported injured. The riot in the state prison of La Toma, in the municipality of Amatlán de Los Reyes, began when the 1,300 inmates demanded the dismissal of the director and the chief of custody of the prison. The riot began on Saturday night in a penitentiary in the eastern Mexican state of Veracruz. Agents of the anti-riot group of the Ministry of Public Security entered the La Toma social rehabilitation center to try to control the revolt. The Government reported that upon entering, the policemen were repelled by inmates who had seized some carpentry tools and set fire to mattresses. The burning of mattresses, stated in the bulletin, "may have caused the suffocation of the police elements." On the outskirts of the prison, members of the Federal Police, the Navy of Mexico, the State Police and the Military Police, guarded the facilities to prevent relatives of the inmates from entering. The eastern state of Veracruz has been mired in a spiral of violence in the last decade due to the presence of drug gangs. Los Zetas have control of the prison. 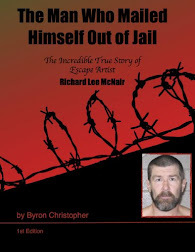 Other articles state that the riot started when they tried to move some very dangerous inmates to another facility. Which zetas? Old school zetas? If coca grew in Canada instead of Colombia, Peru and Bolivia, then America would be just as corrupt as Mexico as Americans would become the narco-trafickers attempting to smuggle drugs into Mexico....crazy world, wrong multi-verse. Why are 7 corrections officers getting into a prison riot and fall in a trap of burning mattresses? Oh I see, the military police, the state police, the army and the marinas were busy trying to find their assigned checkpoint 10 miles away from the prison, and governor yunes is un pendejo too. That helps. And I literally thought that this was due to complaints by narcos of the high cost of “ potato chips “ sold at the prison! How about private prisons for profit? No gas masks for police Zetas control the prison. Imagine anything and everything goes in there. You can bet the deceased officers were the ones giving the prisoners the most trouble to the narco-zetas, let's check the complaint file. So much for Easter Sunday. On february 1913 Mexico was recovered from its "revolution" y US Ambassador Henry Lane Wilson, a drunk mariguano who conspired with general Victoriano Huerta, a drunk mariguano himself. The US has financed all of mexico's wars and has kept their favorite skinners in charge ever since, because they know how to make trouble for others and make money for themselves. And the posted story ? Was you whining and being a pest even then?.